Most people who are paid a salary can be quite confident that the subject of their work actually exists. Physicists studying dark matter differ from most people in this respect. Regardless, talented young scientists continue to devote their careers to the subject. Why? It's not that dark matter lies waiting to be discovered. 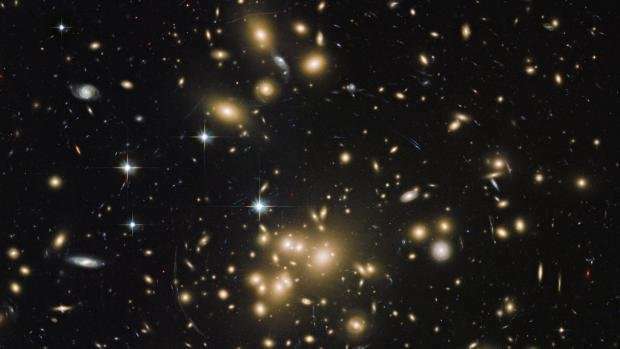 Far from it, dark matter as a phenomenon is firmly established, and we have plenty of convincing evidence to suggest that it is five times more abundant than its bright counterpart. Rather, the problem is that the overwhelming body of evidence for dark matter hinges entirely on gravitational effects. If it turns out that gravity acts much stranger than Newton envisioned, the effects we attribute to a dark matter particle, could be a mirage. And we may be forced to dismiss the entire dark matter hypothesis to the hall-of-fame for obsolete scientific theories. To finally confirm our paradigm, dark matter devotees like myself need to catch or create a dark matter particle, so we can prove, once and for all, that dark matter is actually made of matter. So, what does dark matter look like anyway? Well, that depends on your preference. The diversity of hypothesized dark matter candidates is truly mind-boggling. 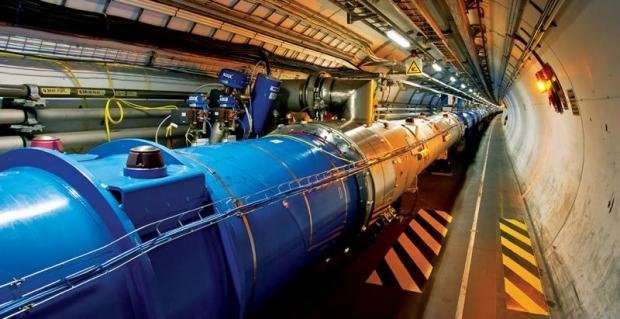 Serious contenders include particles with radii as large as galaxies, as well as ultra tiny particles with radii one quadrillion (15 zeros) times smaller than the proton. It doesn't even have to consist of particles at all, dark matter could be small punctures in the fabric of space and time called primordial black holes. Any experiment setting out to find dark matter must therefore first choose a hypothesis and proceed to prove or disprove it. However, the checklist of candidates is very long, and many ideas cannot be tested experimentally with current technology. Particle physics has a long and proud tradition of giving silly names to hypothetical particles. A particularly silly example is the particle known as WIMP, which, despite its name, is one of the strongest dark matter candidates. The weird sounding name is actually an acronym for the properties of the particle: Weakly Interacting Massive Particle. Meaning that the particle is massive so it gravitates towards other particles or objects, but it only interacts weakly with our visible world. In the very first split seconds after the Big Bang, our Universe was once incredibly hot and dense. This primordial soup is where the supposed birth of the WIMP occurred. Armed with knowledge of how our Universe expanded and cooled, we can accurately calculate the number of WIMPs that were formed under these conditions. Remarkably, this calculation leaves us with a number of WIMPs that closely matches the observed amount of dark matter. In other words, we postulate a particle with the properties we expect to find in dark matter, and without additional assumptions, our knowledge of the history of the Universe means it turns up in the right amount. Well, this seems too good to not be true. This incredible coincidence of numbers is what the supporters of the WIMP zealously refer to as "the WIMP miracle." Miracle is perhaps too strong of a word—but the WIMP paradigm does give a very simple explanation that can account for all of the dark matter at once, and thus passes the test of Occam's razor: Theories with the fewest assumptions are most likely to be correct. But what's even better than its simplicity is that it's testable. The very interactions responsible for creating the WIMPs in the first place, allow us to build experiments to find them—the so-called "direct detectors." Sadly, the detectors built to find WIMPs have found nothing. And so far, it looks like "the WIMP miracle" led us on a decades long wild goose chase. Physicists still hope to discover the WIMP, but if it does eventually turn up, it would certainly look different to what we had imagined. On the other hand, if the WIMP never turns up, the direct detection experiments will have crossed off a few contenders from the checklist, albeit at huge expense. But, as an added bonus, the search for WIMPs has driven detector technology to impressive lengths. Some of these advancements are already being repurposed in other branches of physics, like neutrino physics. So even with a negative result in its primary mission, the effort to find the WIMP has not been in vain. The visible part of our Universe consists of a very limited list of ingredients: quarks, leptons (such as electrons and neutrinos), and four forces that allow the particles to interact. From these modest building blocks comes all diversity—from the stars in the sky, to life on Earth—all can be reduced to complicated configurations of these simple constituents. There is no fundamental reason that the dark part of our world should be less diverse than the visible part. One can even imagine dark matter coalescing into dark stars, planets, and life, which exist entirely secluded from our world. To them, we're the dark matter. However, designing experiments to look for dark matter is a practical matter, and it's hard to look for more than one thing at a time. Therefore, we tend to stick to Occam's razor and try to find the simplest possible answers to the dark matter question. Unfortunately, Occam's razor is not a mathematical theorem, and nature doesn't care how "likely" various theories are according to physicists. In truth, our simplified models of dark matter may give way to a much more complex and messy reality. In this case, we will never see a grand discovery of dark matter, but a gradual understanding of small pieces of an enormous puzzle. We still think dark matter is made of particles that gravitate—but the only thing we know for sure, is that it will be a subject matter for physicists for many years to come. There is absolutely no guarantee that we will discover a dark matter particle. But we might. And that could change our understanding of everything. There is evidence of dark matter every time a double-slit experiment is performed, as it is the medium that waves. What is mistaken for clumpy dark matter is actually the state of displacement of the dark matter. What is referred to geometrically as curved spacetime physically exists in nature as the state of displacement of the dark matter. The state of displacement of the dark matter is gravity. It does work, just not in the way science wants to believe. There is no dark matter, there is a misconception of what gravity is. Occam's razor in this case should be: we have observations that were not predicted or explained by current theories of gravity, so the simplest answer is that our theories are wrong. There is no actual matter that is described by DM, WIMPs are not the answer. A boat has a bow wave because it moves through and displaces the water. The water is the medium the boat moves through and displaces, causing it to wave. The dark matter is the medium the particle of visible matter moves through and displaces, causing it to wave. You place a bowling ball into a tank filled with honey. The bowling ball displaces the honey. The state of the honey as determined by the bowling ball is its state of displacement. The dark matter is the medium the particle of visible matter moves through and displaces, causing it to wave. So you do get gravitational waves but the story of gravity is much more than waves. Occam's razor in this case should be: we have observations that were not predicted or explained by current theories of gravity, so the simplest answer is that our theories are wrong. Occam's razor is supposed to give you theories that are right, not wrong. Unless you can come up with a simpler theory that gives the right observations, I'd say gravity is due to gradients in the expansion rate of spacetime leading to different thermal densities. From there the laws of thermodynamics take over. Expansion rates differ around visible matter because quantized matter does not expand. Everything else does so it gets the squeeze. But natural density gradients exist for other reasons besides the presence of visible matter, for example the temperature gradients observed in the microwave background radiation. Or called vacuum fluctuations leading to the formation of galaxies. Dark matter is what we see as the result of the vacuum fluctuations. So the universe starts with expansion. 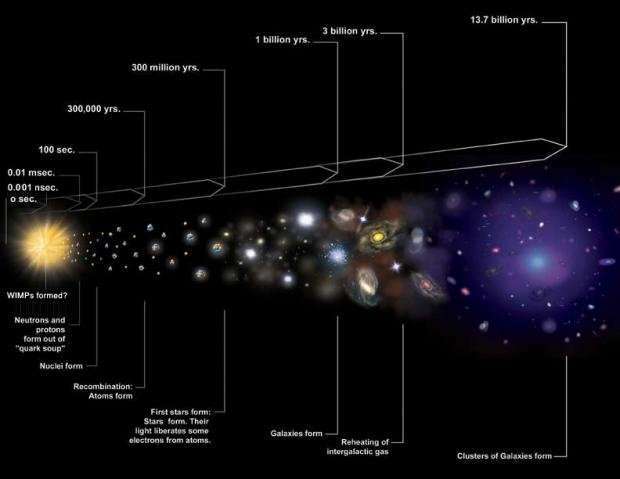 And without expansion the universe just falls apart, assuming that the pressure of spacetime was zero at the big bang. I'd prefer to think the Higgs field existed everywhere before the big bang, and its pressure will eventually cause the expansion of the universe to reverse and lead to a big crunch as in the cyclic universe. You place a bowling ball into a tank filled with honey. The bowling ball displaces the honey. And that gives you an interference of the particles...exactly how? Remember: even if you throw one electron an hour at a double slit (i.e. so few that there is only ever one in your apparatus at a time) you will get an interference pattern. What is mistaken for clumpy dark matter is actually the state of displacement of the dark matter. What is referred to geometrically as curved spacetime physically exists in nature as the state of displacement of the dark matter. The state of displacement of the dark matter is gravity. In a double slit experiment the particle always travels through a single slit and the associated wave in the dark matter passes through both. As the wave exits the slits it creates wave interference which alters the direction the particle travels as it exits a single slit. Over time the particles form an interference pattern. Strongly detecting the particle exiting a single slit destroys the cohesion between the particle and its associated wave, the particle continues on the trajectory it was traveling and does not form an interference pattern. In a double slit experiment the particle always travels through a single slit and the associated wave in the dark matter passes through both. In which case you would have an interference pattern for a single particle. But you don't. There is a wave pattern emanating from whichever slit the particle passes through, but one wave pattern can't interfere with itself. From the previous post, "Over time the particles form an interference pattern." The particles are guided by their associated waves.